GVC - What is a Driving School? 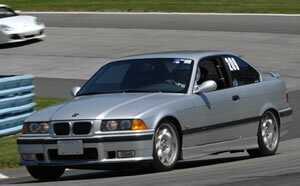 GVC’s Ultimate Driving School teaches advanced driving techniques, and is the main component of our High-Performance Driver Education (HPDE) program. Our school integrates in-car instruction with classroom learning, and often includes extras such as infield paddock exercises, and guided “track walks”. 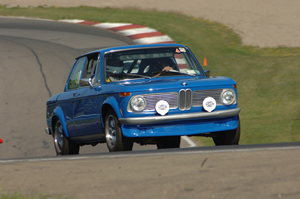 Our schools are currently conducted at Watkins Glen International, and are run in compliance with the strict minimum driving school standards established by the BMW Car Club of America. We are very proud that our HPDE program is nationally recognized for innovative approaches and teaching perspectives encompassing all aspects of high-performance driving. We strive to provide excellent instruction in a supportive, low-key, and safe learning environment. Drivers are grouped according to ability and experience into separate “run groups”. Each run group typically has four 25-30 minute sessions a day. Driving techniques during these sessions are learned under the guidance of a trained, experienced in-car instructor. Between sessions, run groups attend classroom sessions taught by a highly-experienced instructor that are tailored to the experience level of each group. The classroom teaches the theory and practice of car control, including such topics as car preparation, vehicle dynamics, cornering, and braking techniques, and is a forum for peer group discussion. At the recommendation of the instructor, and with permission of the chief instructor, drivers may be “signed-off” to drive “solo” (i.e. without an instructor) for one or more sessions. In order to teach and refine certain more advanced skills, on-track exercises, such as “late” passing into corners or driving side-by-side at reduced speeds, are incorporated into one or more run-group sessions. Traffic management and situational awareness are skills critically important in everyday driving, and are particularly important on the track. 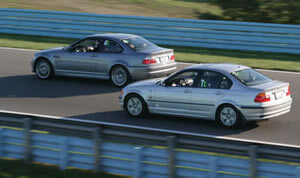 Overtaking is strictly regulated using protocols taught in the classroom and the in-car instructor. All passes are controlled by driver of the car being overtaken, who must give a “point-bye” to the overtaking car to initiate the pass. Passing emphasizes courtesy and cooperation to ensure safety and smooth traffic flow. Fostering a community of like-minded individuals who share a common experience and learn from each other’s mistakes is a primary goal of our driving schools. Participants select their preferred run group when registering for a school. The DS Chief Instructor and Registrar review all self-selected skill classifications, as well as evaluations from previous schools, to determine final run group assignments. Our run groups are determined by ability and experience, as defined below. Novices are drivers who have very limited HPDE track experience (typically less than 3 events), and beginners who have never before participated and are just starting the journey to driving excellence. Intermediate drivers are those with a minimum of 3-6 events’ experience. This group is very diverse with drivers spanning the broadest range of skills, and it is not uncommon to have two separate intermediate run groups (lower- and upper-level) at an event. Advanced drivers have many days of track experience and significantly elevated skill sets, and are able to routinely adapt their driving to traffic and track conditions. 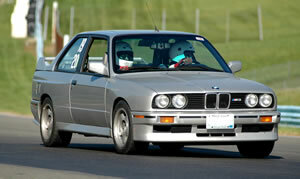 Group S (GVC’s version of Solo, formerly A-Solo) is for very advanced drivers. This group does not have personally-assigned instructors like drivers in all other groups, but is instead under the tutelage of 5-6 Group S coaches. Admission to Group S requires 1) an extensive resume of track experience; 2) excellent evaluations; 3) a rigorous on-site checkout ride conducted by the Group S coaches; and 4) very importantly, consensus of the existing Group S drivers. After admission, Group S drivers may freely sign up for Group S at subsequent events as long as they remain in good standing with the Group S drivers and coaches, as well as the GVC Chief Instructor. Complete details of Group S can be found on a separate webpage. To make the experience more enjoyable and less stressful for newcomers, our Driver’s Resource Center offers a one hour presentation and Q&A session on the night before the school in the Kendall garage classroom at the track. At this meeting we go over how the school schedule is organized, what is taught in the classroom, the layout of the track and its amenities, where to go for help (answer: the Driver’s Resource Center), and how to prepare oneself physically and mentally for the experience. It is strongly recommended that new drivers download our “Rookie Chronicles” publication, the link for which is available in “Recommended Reading” below. Event Shirt: To commemorate the event and give you bragging rights back home, you will receive a complimentary, limited-edition "Ultimate Driving School" shirt to go along with the event tech sticker placed on your car’s windshield. 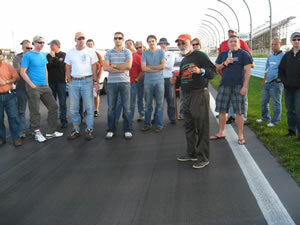 By Jeff Gabel - Local Genesee Valley Chapter member and Driving School Instructor, Jeff Gable, shares advice he received during his first year of Performance Driving Schools at Watkins Glen, Mosport, and Batavia International Motorsports Park. This is a fantastic read for everyone, especially Novice students who want to know what to expect as a first time driver. By Ross Bentley - Ross Bentley is currently one of the most sought after and respected race and performance driver coaches in North America, if not the world. He expands traditional instructional method by focusing on what is really driving the car…the driver’s mind. With detailed drills and comprehensive instructions, Bentley covers everything you need to know: choosing lines; adapting to different cars, tracks, and racing conditions; setting up controls; and understanding car adjustments and mental preparation. Whether you are racing an Indy car or simply interested in becoming a more complete driver on the street, Ultimate Speed Secrets will give you the information you need to succeed!